Claire Lerner was born and raised in New York, New York. She received her MFA and BFA from the State University of New York at Buffalo. After graduate school Claire moved to California where she was a member of the photography faculty at Monterey Peninsula College, Monterey, California for ten years. For the past sixteen years she has taught studio art, digital media, black and white and digital photography at the Santa Catalina School in Monterey, California. She has conducted many workshops on various processes including Cabrillo Arts summer 2011 workshops. 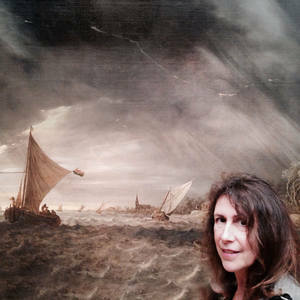 Claire was a recipient of the First Place Award for her work in the, Exemplary Contemporary exhibition, at the Eloise Pickard Smith Gallery, University of California, Santa Cruz, CA. She received the Award of Distinction from the Steinbeck Center, Salinas, CA. In 2008 her work was selected for a solo exhibition at the Smith Gallery, UCSC, California. Her work has been collected by a broad range of private and public institutions, including the Monterey Museum of Art, Visa Corporation, Redwood City, CA, Cowell College, UCSC, PMI, Corporate Headquarters, Walnut Creek, CA, and the Community Hospital of the Monterey Peninsula, Monterey, CA.